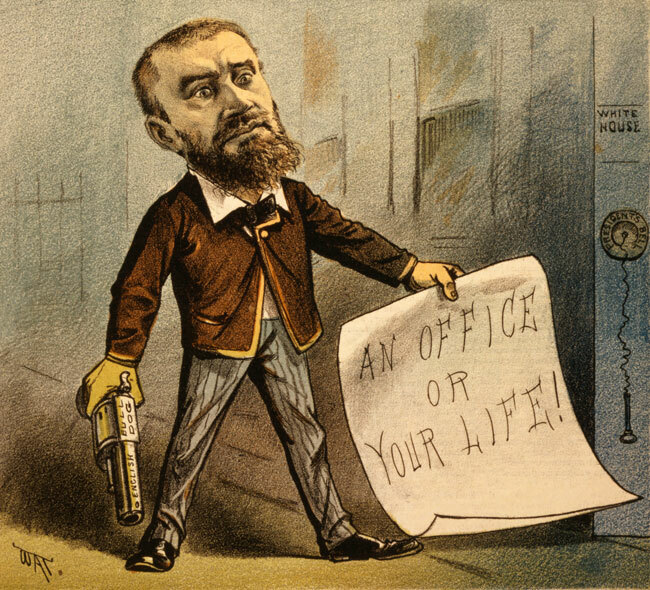 Charles Guiteau was considered entirely insane (possessed by the devil, according to his own father) by the time he drew a revolver on President James A. Garfield and put two bullets in the man’s back on July 2, 1881. Guiteau believed God told him to do it and, thereby stripped of his free will by the divine powers that be, could not be responsible for his actions. But long before Guiteau penned this dark chapter of history, he was a resident of Wisconsin’s long vanished ghost town on the shore of Lake Michigan. Ulao was founded in 1847 by an Elgin, Illinois investor named James T. Gifford. His plan was to sell wood to the Great Lakes steamers passing by. Along the beach, Gifford built a 1000 foot wooden pier that extended into the lake from the beach. He then constructed a wooden chute that began at the top of the steep bluff and ended on the beach near the pier. Gifford bought wood from the farmers, cut it to the proper length, and slid it down the chute to the beach. The wood was then sold to steamer crews that were able to dock at the pier. A steamer of this day needed 600 cords; the product of ten heavily wooded acres, to return to Buffalo and the East. Ulao became a major shipping hub. Gifford hired Luther Guiteau from Freeport, Illinois to survey the land. Guiteau brought his wife and six children, including 9-year-old Charles, to Ulao in 1850. They moved into a newly built cream city brick home, where they lived for the next five years. Tragedy struck in 1855, however, when Guiteau’s wife died. He abandoned Ulao, taking his kids back to Freeport. Others began leaving Ulao as well, as coal replaced wood as the primary fuel for shipping on the Great Lakes. The town couldn’t compete with Port Washington’s three coal docks, and as money and work disappeared, so did the residents. Ulao soon faded into history. But Charles Guiteau would not be so easily forgotten. If it wasn’t for the infection from the gunshot wounds that took Garfield’s life 11 weeks after the shooting, even Guiteau’s assassination attempt would have been a failure. Guiteau expected to be released, and began planning his run for the 1884 presidential campaign. That wouldn’t happen, of course, because he was found guilty and hanged on June 30, 1882. His brain was dissected and examined by doctors hoping to discover an anatomical reason for his madness. Pieces now reside in a jar at the Mütter Museum in Philadelphia. 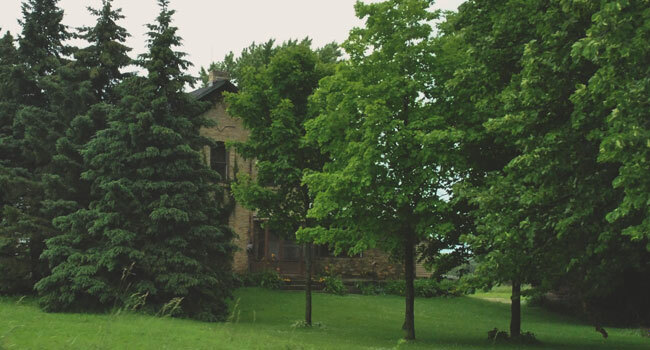 Guiteau’s childhood home in present day Grafton still stands. It is one of five original structures remaining from the long forgotten ghost town of Ulao. 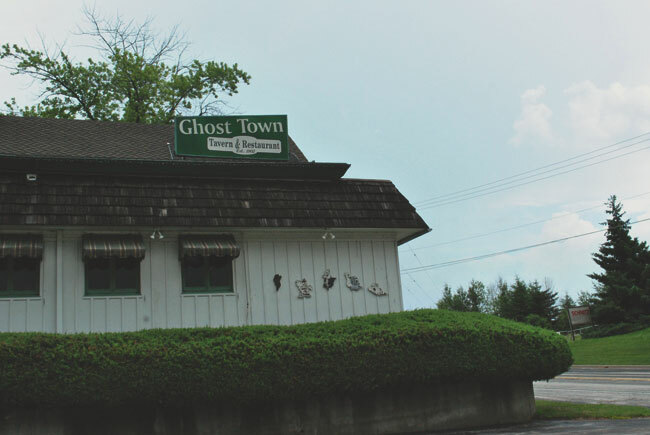 The words “ghost town” combined with Charles’ reported insanity do not make Ulao fright-worthy. It is historically significant as having the first paved road in Wisconsin, a lighthouse, and the long pier. Guiteau only spent 5 years in Ulao. He was born in and returned to Freeport, IL. Let them take credit for the assassin. No ghosts here, maybe a coyote or two. Just a gorgeous spot we enjoy living in, now the Town of Grafton on Lake Michigan.